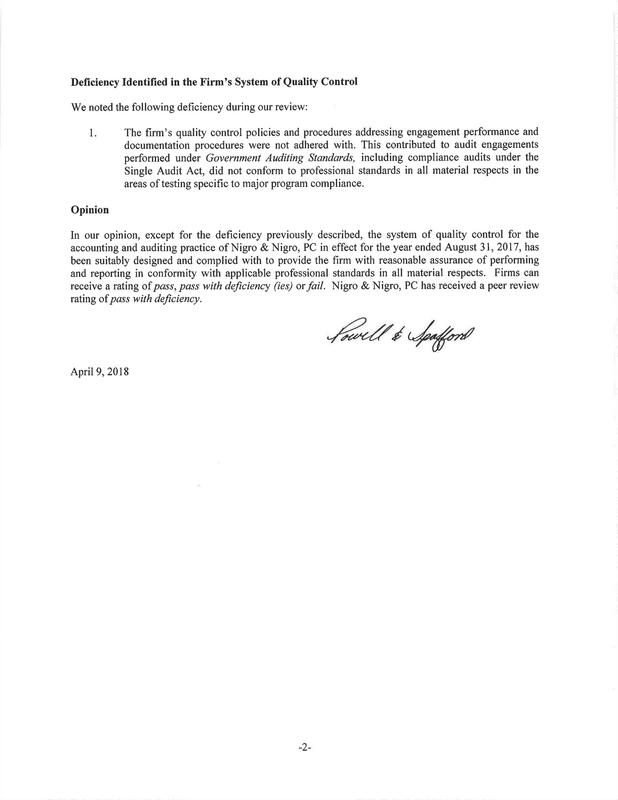 As a member of the American Institute of CPAs Governmental Audit Quality Center, we are committed to adhering to the highest quality standards by voluntarily agreeing to the Center membership requirements, which include designating a partner responsible for the quality of our Governmental and Non-Profit Organizations audit practice, establishing quality control programs, performing annual internal inspection procedures, and making our peer review report findings publicly available. 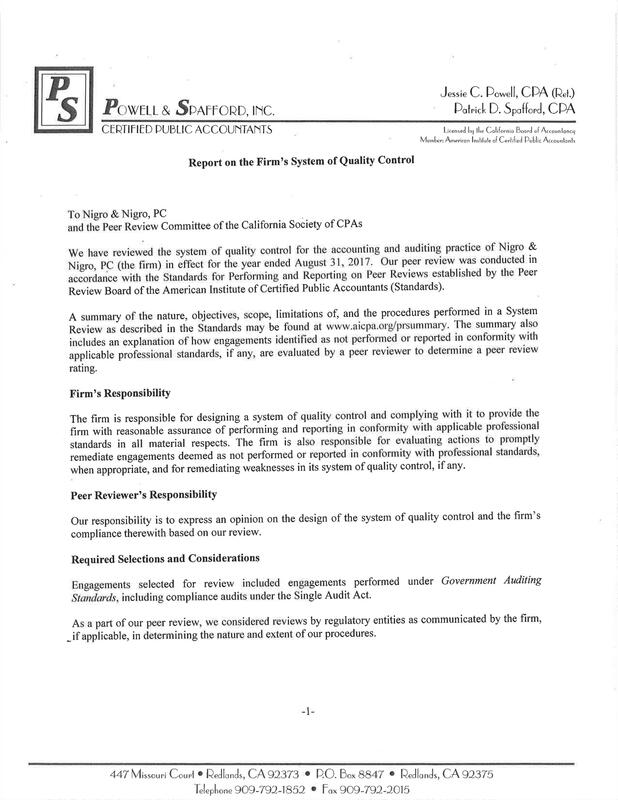 The firm’s most recent peer review report rating was a Pass with deficiencies. This rating indicates that the firm’s system of quality control has been suitably designed and complied with to provide the audit organization with reasonable assurance of performing and reporting in conformity with professional standards and applicable legal and regulatory requirements in all material respects with the exception of a certain deficiency. 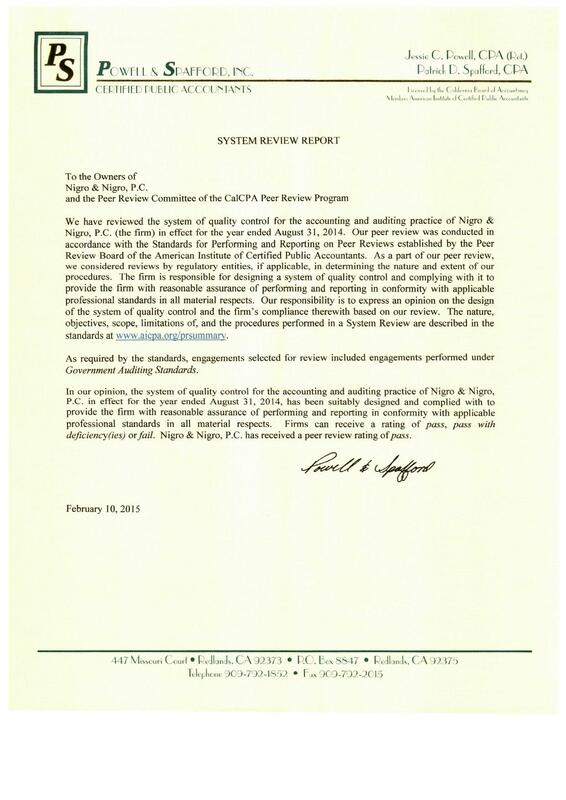 The deficiency noted in the review has been subsequently corrected and accepted by the CalCPA Peer Review program.